The City's pizza scene is heating up, but not all slices were created equal. Whether you're a Neapoli-fan or a deep dish devotee, we've got your guide to the best pizzas in the City of London. Puffy sourdough crusts, rich tomato bases, oozing mozzarella: the City’s artisanal pizza scene is hotting up like a wood burning stove. Not since pineapple missed the fruit bowl and ended up atop a Hawaiian have we seen more creativity and innovation among London’s pizza pioneers; from double-fermented doughs to out-of-the-box cooking techniques. Of course, not all slices were created equal, but whether you’re a Neapoli-fan or deep dish devotee, quattro formaggi or cheese-free, we’ve got your guide to the best pizzas in the Square Mile. Can’t agree on toppings? Homeslice’s 20-inch pizzas can be split 50/50. We have Homeslice to thank for bringing New York-style pizza by-the-slice across the pond. 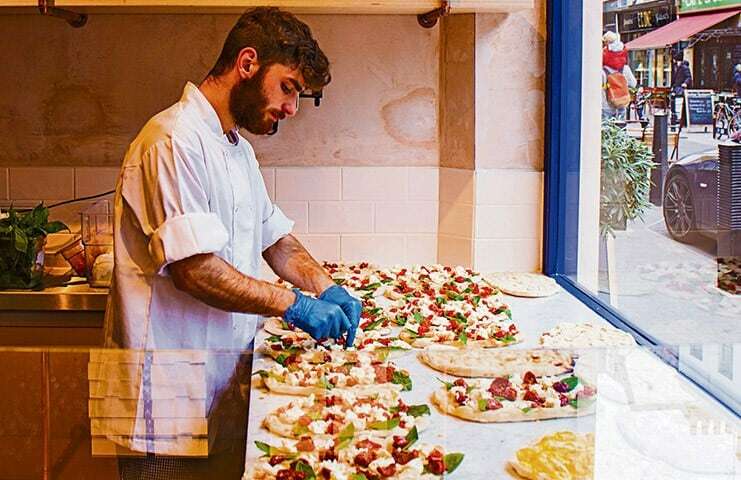 The former mobile wood-fired pizza oven put down permanent roots in Covent Garden in 2013, but the popularity of their 20-inch thin-crust pizzas served to share or by-the-slice saw sites spring up in Shoreditch, Fitzrovia and, as of March, Bloomberg Arcade. 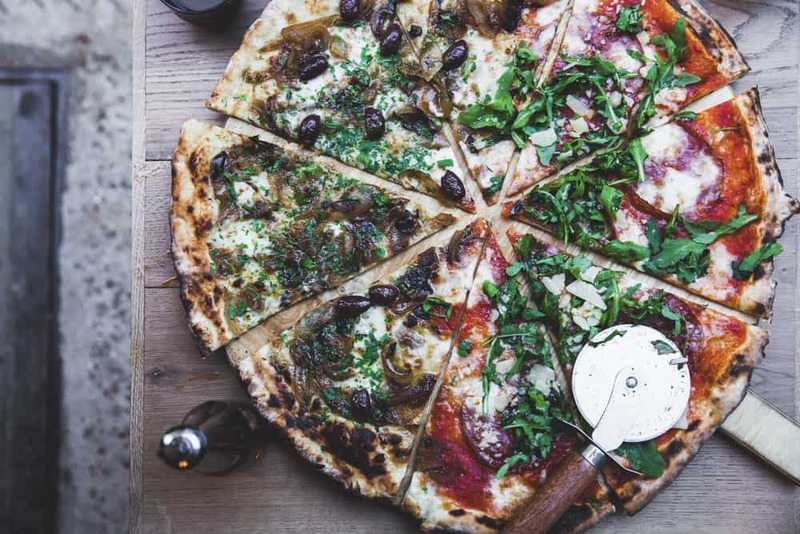 The 10-strong pizza menu features a couple of classics – a simple salami, rocket and Parmesan or mushroom and ricotta – but the more creative flavour combinations are the major drawcard for those seeking adventure by the slice. Get stuck into BBQ beef brisket, pickled carrots and celery; or aubergine, cauliflower cheese and harissa; or both, with a 50/50 split. Brothers Thom and James Elliot went on a pizza ‘pilgrimage’ of southern Italy before establishing their chain in London. For pizza punters, the story of Thom and James Elliot is up there with Eat, Pray, Love. In the summer of 2011, the brothers tossed in their day jobs and spent six weeks on a pizza pilgrimage, eating their way through the south of Italy from a little three-wheeled Piaggio Apé van. 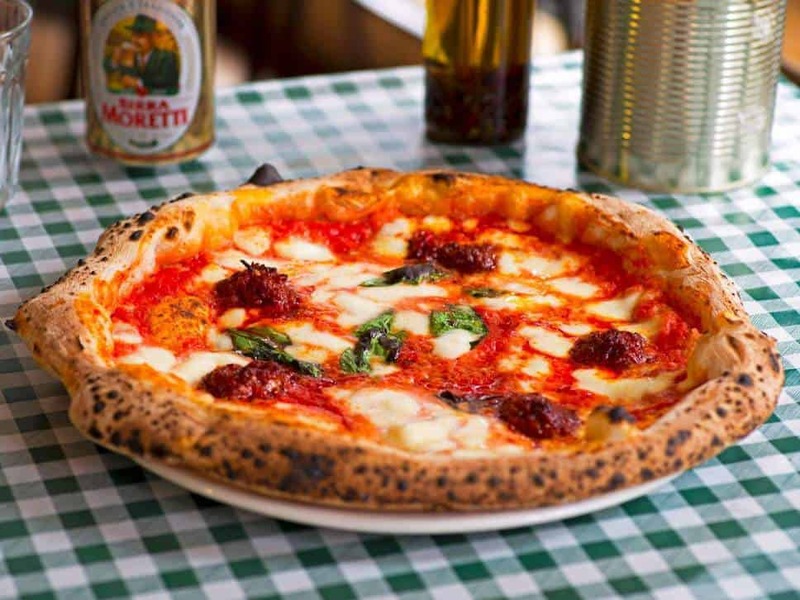 They discovered dough in Naples, mozzarella in Caserta, and basil in Genoa, and then returned to London as two pioneers of the blistering crust and soupy centre we now know as Neapolitan-style pizza. 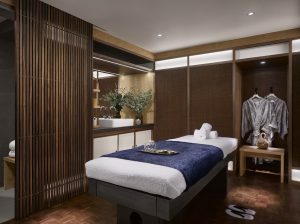 The brothers will open their seventh Pizza Pilgrims site at the foot of Tower 42 next month, debuting a double-fermented dough, proved twice for at least 48 hours to give it an amazing depth of flavour and an airy, light texture. Top with the signature ‘Nduja’ – a spicy sausage from Calabria – or try one of the new additions to the menu; a honey-drizzled double pepperoni or the Pesto Datterini pizza, made with sweet yellow Datterini tomatoes and buffalo stracciatella. Panzo has pioneers a special dough of rice, wheat and soy flours that is a lighter alternative to sourdough crusts. Though the colourful slices in the window of this cute Exmouth Market eatery suggest otherwise, Panzo is not technically a pizzeria. It is instead a purveyor of a panuzzo, a pizza-like open sandwich made with a special dough of rice, wheat and soy flours. It’s thin, crispy and unlikely to pose much of a threat to sourdough stalwarts, but the bonus is that you can try more of the flavour-packed topping combinations with none of the guilt. We recommend the ‘Luchino’, a particularly strong combination of ventricina, nduja and mozzarella and fresh chilli, and throw in a ‘St Paolo’ – gorgonzola cream, roasted mushrooms, truffle oil and parsley while you’re at it. Radio Alice founders Matteo and Salvatore Aloe champion the crispier, airy sourdough crust native to the north of Italy. Forget Naples, Bologna is where it’s at according to Matteo and Salvatore Aloe, who champion the crunchy, airy sourdough crust native to the north of Italy. 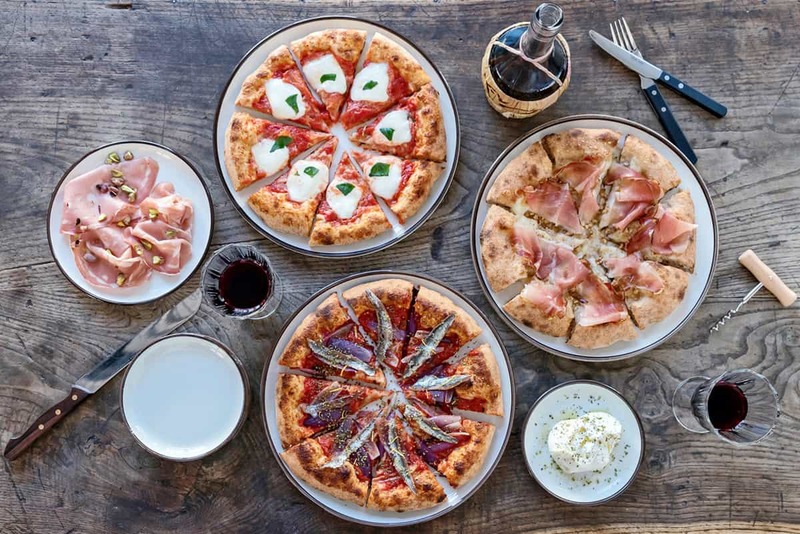 The brothers opened popular pizzeria Berbère in Italy back in 2010 before teaming up with GAIL’s bakery co-founder Emma King to launch Radio Alice in Hoxton and Clapham. Here, they get a little more creative with bases that are a mix of organic, stoneground flour and a mother yeast sourdough and then pre-sliced with toppings added at the end. Expect tried-and-tested combinations with a twist; courgette with feta, red onion and marjoram or prosciutto with burrata, mozzarella and, wait for it, orange oil. Look out for seasonal specials (August was Nduja Month) and regular collaborations with local chefs. 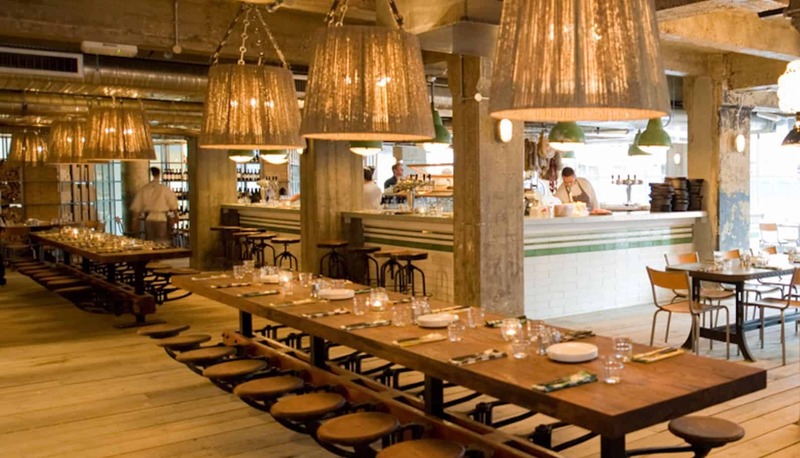 Pizza East remains one of the slickest places in Shoreditch for a slice. 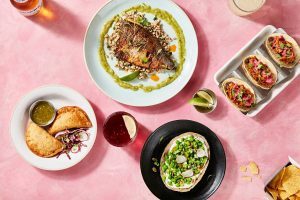 With low-lit slick interiors and party vibes, Pizza East isn’t exactly Nonna’s kitchen, but would we expect anything less from a restaurant mini chain owned by Soho House Group? 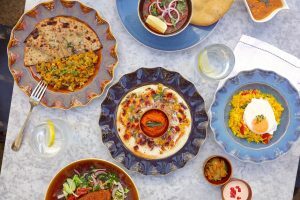 The pizzeria has been keeping Shoreditch House clientele in carbs since 2010 from its prime position on the ground floor of the iconic Tea Building, and its popularity is showing no signs of waning with a full house into the early hours on weekends. Bases are springy and elastic and topped with the likes of veal meatballs and prosciutto, or white anchovy, fennel, scamorza and cream. Go for the people watching, stay for the pies.